It’s a jungle at my house. No, really – I’m not exaggerating. Between the dogs running amok, the children hanging from the furniture, the noise, and the smells, it’s like a South American rainforest. I even tell the kids on a regular basis how much I love them by letting them know they are my favorite monkeys in the jungle. Fortunately there are other jungle animals that aim to teach young players a group of important early learning skills in Jungle Picnic. Colorful characters and fun, educational games come together in this carefully researched edu-app to provide a holistic experience. For the kids the app is just plain fun. 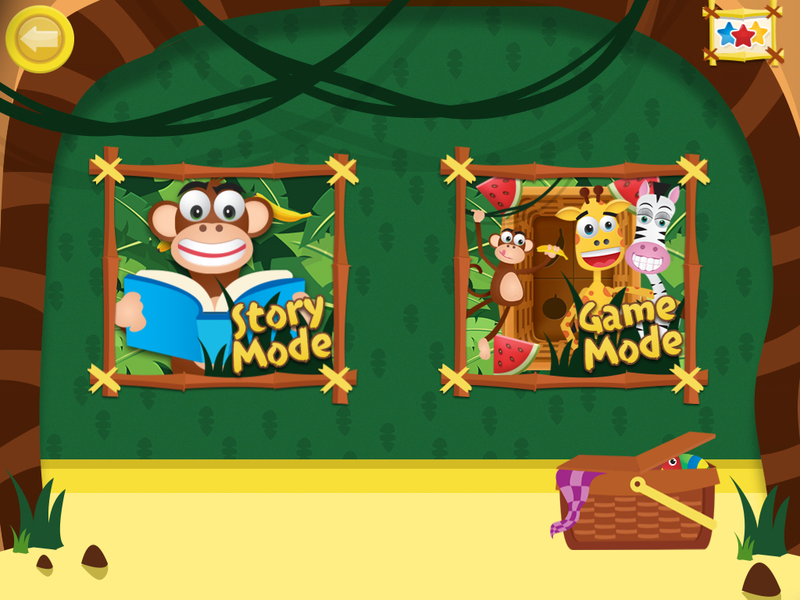 Charlie the monkey and his two friends are bright and cheery and guide players through two modes, either the storybook section or the mini-game mode. The story is cute and tapping the screen allows players full interactivity. Highlighted words and clear narration help non-readers and beginner readers alike to follow along. Game mode uses familiar objects and situations that are presented throughout all games, offering continuity and uniformity to reinforce object recognition. There is a laundry list of concepts that are touched in Jungle Picnic,with literacy and fine motor skill development being the most prominent. 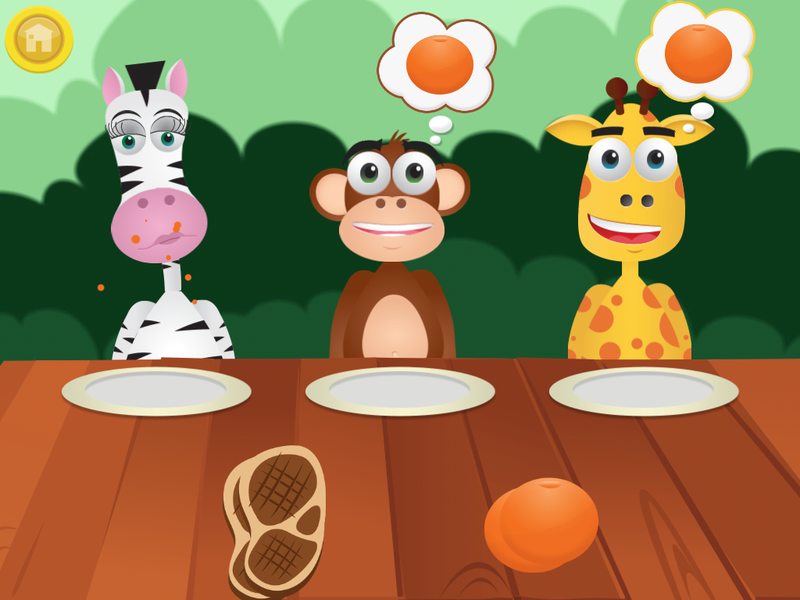 Early math skills are taught through object matching and sorting; for example the animals are hungry and players must give them the right meals as depicted in thought bubbles. Stickers are earned after each round, letting children visually recognize their accomplishments. Both of my preschoolers loved playing this game and both easily navigated through the simple interface, which is my barometer to measure the general success of children’s educational app. As you know from our reviews, there are many apps in the animals-teach-you-to-learn style, but not many are as simple and comprehensive as this one. It’s also a great price at $0.99, so it would be perfect for your favorite monkey in the jungle. 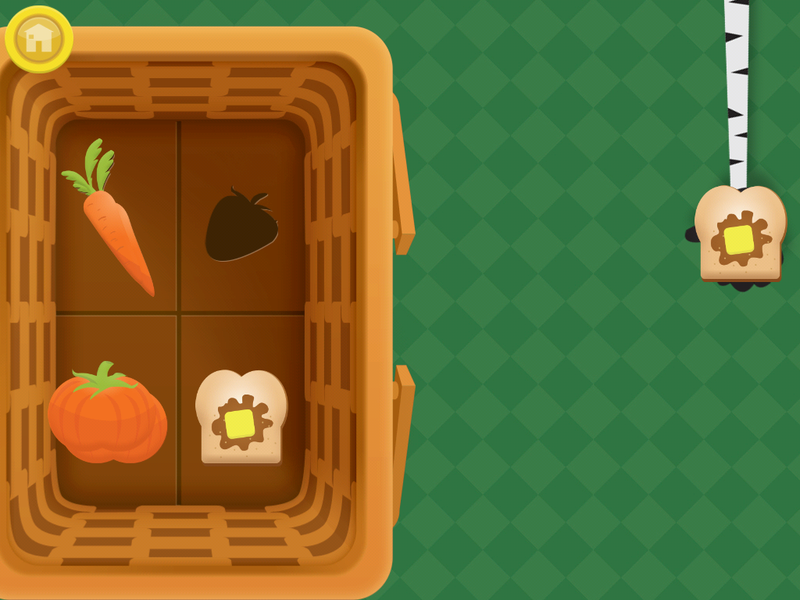 Pack your basket because this app will make you and your preschooler hungry for learning!